This has been a tricky name to trace as most of my Lozuet members were female and therefore the name has slowly disappeared down the line. The way my family pronounce this surname is ‘L-o-e-z-w-a-y’ or ‘L-o-z-w-a-y’. Eliza Lozue – born 21st June 1864. Eliza married Octave Theobald Duthel and moved to England to live. In 1892 she gave birth to their son Octave Theobald ‘John’ Duthel. 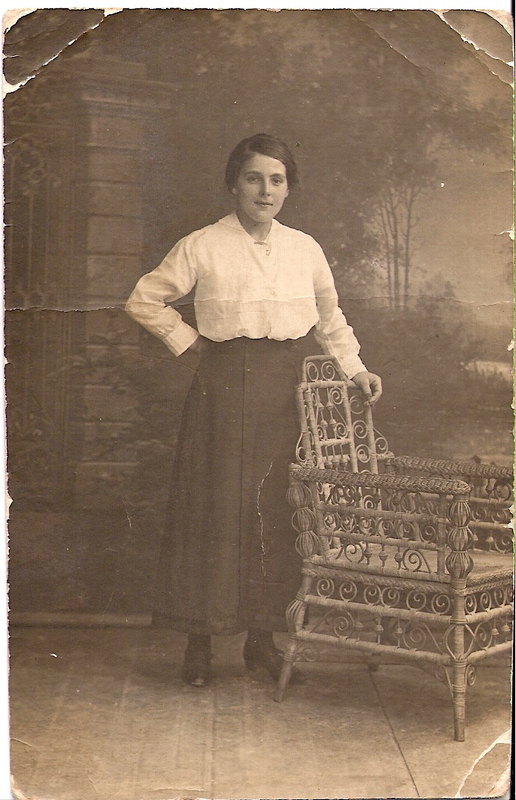 Clara Eliza Lozuet – b.1895 (my great grandmother). Ada Florence Lozuet – born 15th August 1897 in St. Helier. Ada married John Norton Amy. Violet Florence MabeyLozuet – born 4th Nov. 1898 in St. Helier. Mabel Maud Lozuet – born 14th 1902 in St. Helier. Mabel married Francis Benest. Ada gave birth to their daughter Mabel Maud Benest. Elsie Lilian Lozuet – born 16th October 1907 in St. Helier. Elsie married Norman Arthur Norton in Birmingham, England. Clara Eliza Lozuet (b.1895) marries George Perchard Davey (my great grandfather). They have a son Kenneth George Davey (my grandfather). (Notice how the letter ‘t’ has now been added to the end of the surname). 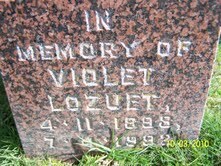 In memory of Violet Lozuet (my great grandmothers sister). Sadly the Lozuet name has died out within my family as the last generation were all girls. Hi My husband is from Jersey but now lives in somerset. His name is Denis Lozuet. His father was Auguste Lozuet. Denis also has connections with the Lozuets in Australia as his brother went to live there in the 50’s. We found out that originally Denis’ surname may have been spelt Lozouet the o dissappeared when his father’s birth was registered. If you want any more info please email dlozuet47@googlemail.com.